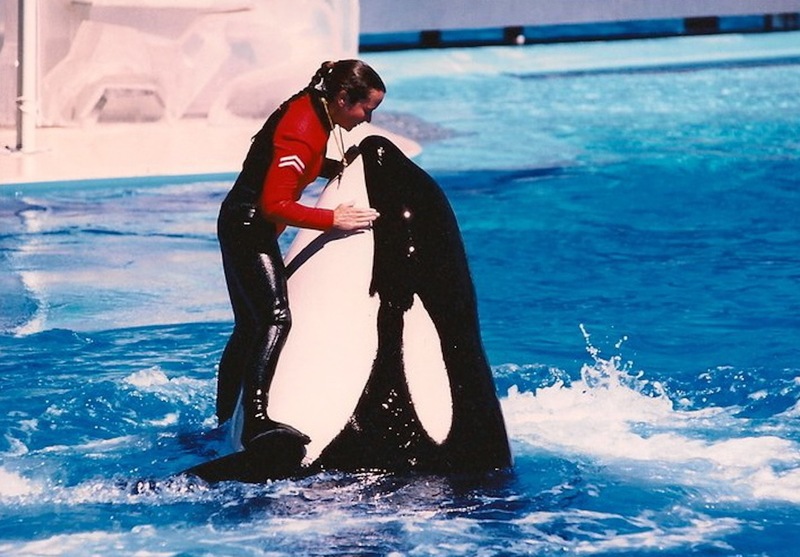 Shawna made the leap from killer whale trainer to horse trainer, using positive reinforcement. 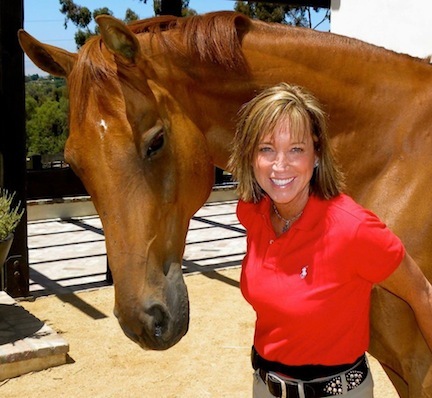 Every equestrian has a tale of who and what influenced their horsemanship, but Shawna Karrasch offers a most unusual set of credentials: for 10 years she worked with orcas, dolphins and other sea mammals, training and performing with them for the public at Sea World in San Diego, California. Her experiences led to the development of her business, On Target Training, and resulted in an entirely new direction for Shawna’s mission in life. 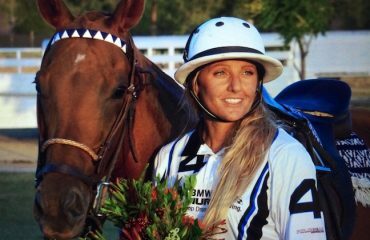 The defining moment happened two years after Del Mar: Shawna took her first riding lesson at Rancho Santa Fe where she met show jumper Vinton Karrasch. They got together and brainstormed what would become On Target Training, which Shawna has continued to build and grow since their partnership and marriage ended. Horses will do that to you. 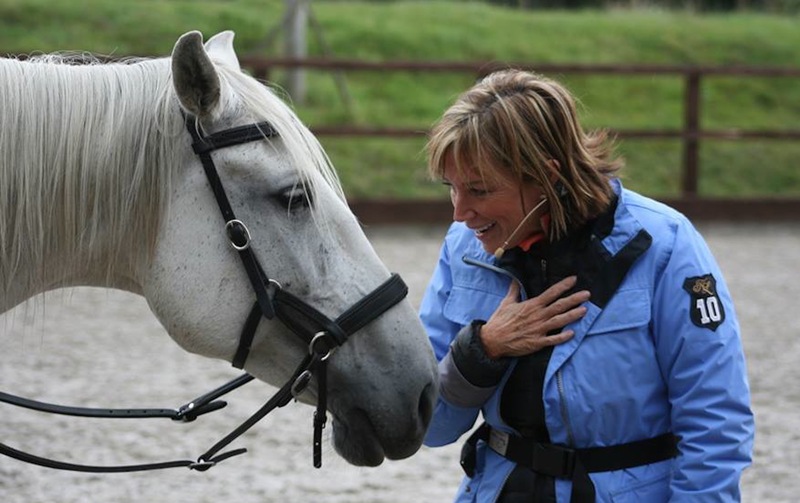 Helping good horsemen to be better trainers can be affirming and empowering for all concerned, including the equines. 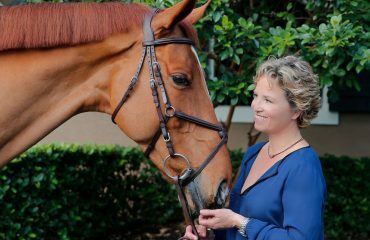 In terms of Shawna and On Target, two well-known professionals really made a difference: John and Beezie Madden, who took the ride on Judgement after Michael Matz ended his long relationship with Mary Alice Malone’s stallion. In spite of winning the 1999 American Gold Cup with Michael, Judgement started running out at the water jumps, which didn’t bode well for a jumper. The duo finished 18th in the 2000 Olympics, and soon after the Sydney Games, Michael retired from show jumping and recommended that Judgement go to the Maddens. It took the better part of a year, but by using positive reinforcement and On Target Training, Beezie and John got Judgement over his issue about water jumps. “John is like a sponge and Beezie is amazing. 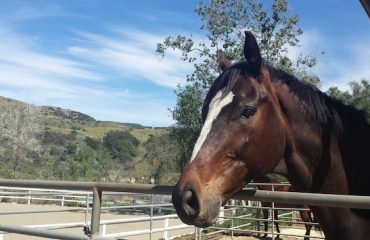 By the time the stallion arrived, the Maddens had really gotten the vital steps and the timing between the cue (asking for the behavior) and the yes signal (the click),” Shawna said. The Maddens entered Judgement in a big jumper derby that fall, which served as a major test of the training. Before Beezie rode through the timers, she guided Judgement past the water: when she clicked, Judgement nickered. “The Maddens were thrilled and Judgement placed fourth in that big class,” recalled Shawna. Judgement continued to compete and win internationally, earning more than $1,500,000 in prize money. He retired in 2009 and as a sire has helped to raise the bar of American breeding standards. Please note: Beezie’s round with Judgement took place before the rule that prohibited the use of clickers during competition. However, people have utilized verbal cues, such as clearing their throats, in place of the clicker. This work-around is not exactly kosher, but it is for the greatest good of the horse and helps to reward him when he does the right thing. This is at the heart of On Target. Shawna tries not to call her method clicker training, which evolved from working with dogs. She points out that the marine world uses whistles and verbal cues. In the horse world, a little knowledge can be a dangerous thing. “People experience success with positive reinforcement and the results can be pretty dramatic, but the basics can only take most people so far,” said Shawna. As On Target gets bigger, she finds that she is fixing more problems, which result from training that fails to fix the initial issues. For more information on Shawna, visit www.on-target-training.com. To experience Shawna performing On Target Training, watch the YouTube video of Shawna and a horse she hasn’t seen in seven years. There is no doubt that the horse remembers his training. On YouTube you can type in “Clicker Trained Horse Remembers After 7 Years” or view the video at: http://www.youtube.com/watch?v=mOgtI23xqXE. 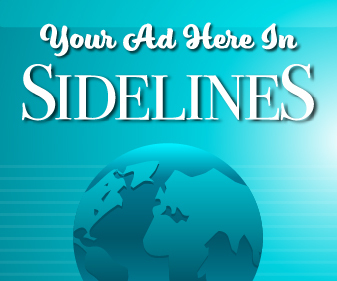 The video will also be posted on the Sidelines website. 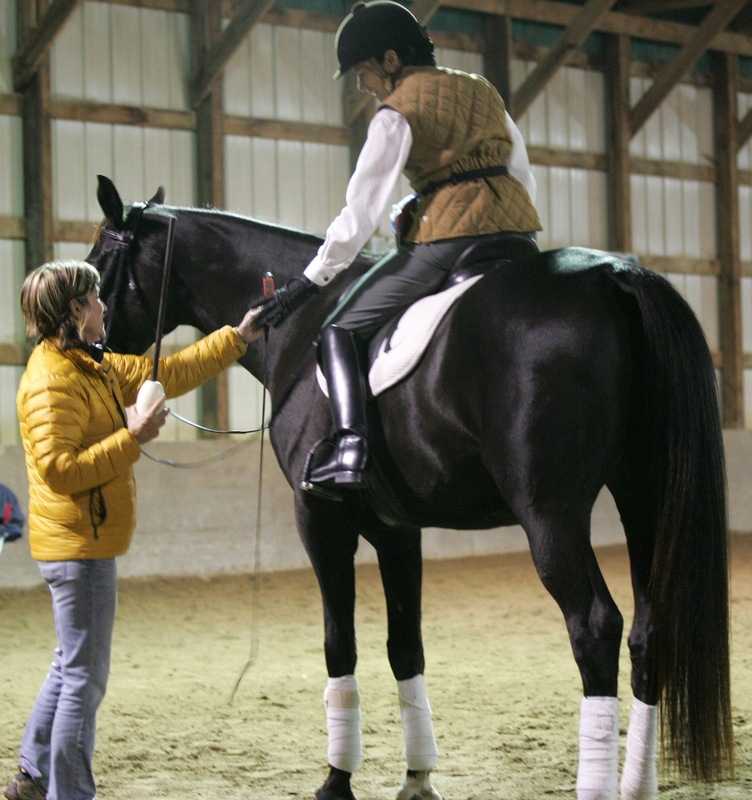 The goal of On Target Training is calm, happy, relaxed horses and people – using positive reinforcement. Shawna helps this horse to view a trailer as a good thing, not an object of fear, pain and worry, during a clinic in Southern Pines.